Most of the time, it is that first scratch or ding in your watch that will hurt the most. 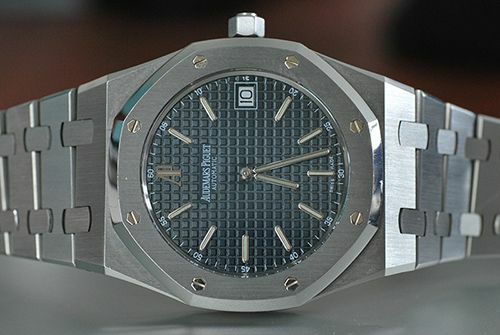 Jack Forster of Revolution Magazine tells about the first ding in his Audemars Piguet Royal Oak 15300. That triggered me to show you the first severe scratch on my Royal Oak. As you know, this watch has a lot of polished and brushed parts, most of the time divided by razor sharp edges. Luckily, none of the sharp edges has been damaged, because you can’t get that corrected any more (also AP can’t do this). 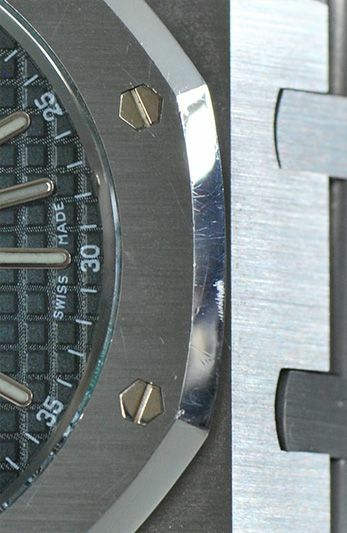 I believe the bezel of my watch only needs some slight polishing on one of the polished parts of the bezel. Anyway, it could be worse but it still hurts of course. I love this watch dearly, so I will get it corrected at some point. Probably during the next service overhaul. I have other watches that have scratches as well, but none of them feel like the one on this Royal Oak. Check out the thread by Jack Forster on Revolution Magazine forum (formerly known as Horomundi). Click here.